DriverFinder finds device drivers for your PC in minutes. It offers fast driver downloads and even helps install drivers for you. Our non-stop growing driver database makes sure you find the drivers your PC needs. Easy-to-use. 100% safe & effective. DriveTheLife is a straightforward and totally free Windows application designed to download and install driver updates, repair driver issues, backup and restore drivers with ease, uninstall/remove unwanted hardware drivers for Windows users. As you see the word in the name of the software â€œfreeâ€�, our driver tool is totally free to update your PC drivers. ABZSoft Free Driver Updater adopts the most accurate and comprehensive Driver Scanning Engine (DSE) in the world. Win Driver Backup is a specialized driver backup tool with ability to backup all the major system drivers on your computer like audio drivers, video drivers, network drivers, etc. so that you won't encounter any trouble when facing computer crashes. DFWSoft Driver Updater Pro is designed to be quite easy-to-use and efficient. It can update your drivers to the latest so as to promote performance, improve functionality, and generally make your PC faster on a regular basis. Configuring although thousands of DDE items easily, DDE data exchange with OPC servers, OPC clients, device communication drivers, PLCs, LabView, Simulink, office applications ...,storage into process databases, alarms, reports, digital dashboards. Your Trusted PC Driver Matcher and Updater for Windows XP/Vista/7. . Your Trusted PC Driver Matcher and Updater for Windows XP/Vista/7. 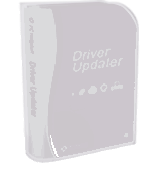 Driver Update Robot is advanced automatic driver update and fix software with the world's largest and latest official driver database for your Windows PC. Its fast scan is guaranteed to detect 100% of your system's devices. Powerful Software Solution for Serial Port Monitoring and Control with Protocols. STermPro is a next generation serial port terminal made by professionals for professionals. Driver Check can deep scan your hardware devices, detect and update the outdated drivers if available, completely backup them and restore them if necessarily.Driver Check makes your system running more secure, stable and always up-to-date. Download the latest version update for AOpen 1847 Lan Driver. .
Download the latest version update for AOpen 1847 Lan Driver. Download the latest version update for TRENDnet TW-200 Router Firmware. .
Download the latest version update for TRENDnet TW-200 Router Firmware. Download the latest version for Acer Aspire AS5820T Notebook Bios. .
Download the latest version for Acer Aspire AS5820T Notebook Bios. Download the latest version for Abit AA8-3rd Eye Bios. .
Download the latest version for Abit AA8-3rd Eye Bios. Download the latest version for Acer TravelMate 6594 Notebook Bios. .
Download the latest version for Acer TravelMate 6594 Notebook Bios. Download the latest version for Acer Aspire 5552 Notebook Bios. .
Download the latest version for Acer Aspire 5552 Notebook Bios. Download the latest version for Acer 5742Z Notebook Bios. .
Download the latest version for Acer 5742Z Notebook Bios.